Ryle Manufacturing makes custom sprockets for oilfield drawworks. These sprockets are usually larger pitch 1-1/4” for size 100 roller chain up to 3” pitch 240 roller chain. In most cases these sprockets are for multiple strand roller chain to carry large loads. Driver sprockets with hardened teeth are common for longer life. Special jaw teeth are machined on the side for jaw clutch applications. 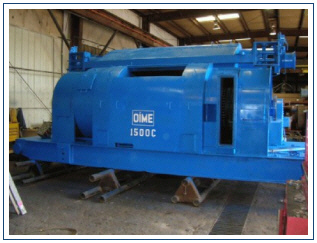 Exact bores can be machined with keyways or QD hubs can be provided to accept finished bores with QD bushings. 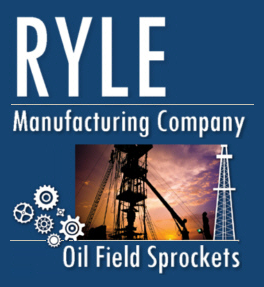 Ryle Manufacturing makes custom sprockets for oilfield mud pumps. 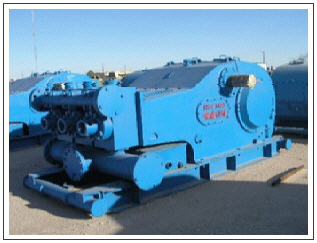 These sprockets transfer the power from the power source (drawworks) to the mud pumps. 1” pitch through 3” pitch 80 – 240 single and multiple strand sprockets for Simplex, Duplex and Triplex Pump chains. A driver sprocket with hardened teeth for longer life is a good option. Ryle Manufacturing makes custom sprockets for oilfield rotary tables. These sprockets transfer the power from the drawworks to the rotary table. Ryle Manufacturing makes heavy duty sprockets for compound chain boxes. 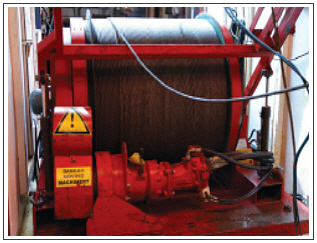 Compound chain boxes transfer power from the drilling rig engines to the drawworks and mud pumps. 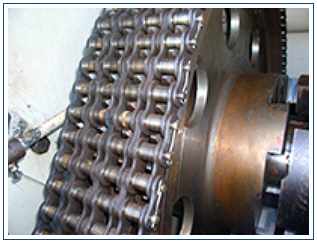 Compound chain box sprockets are mounted on shafts in an enclosed lubricated box connected directly to the rig engines. Ryle Manufacturing makes sprockets unique to oilfield truck winches. They are usually size ¾” pitch size 60 roller chain and 1” pitch size 80 roller chain, single and double strand and hardened teeth. 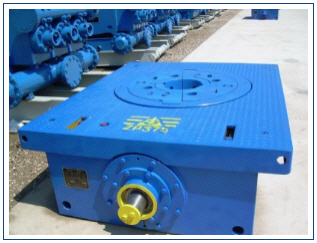 The size 80 roller chain, single and double strand sprockets are by far the most popular for oilfield winch sprockets. The unique feature on oilfield winch sprockets is the keyway. The keyways found on winch sprockets are either oversized, undersized or standard sized on common shaft sizes. The most common keyways found on oilfield winch sprockets are oversized i.e. a 1-1/4” shaft has a 5/16” keyway instead of a standard ¼” keyway. Ryle carries a large stock of oilfield winch sprockets for immediate delivery.